Day Job - John teaches in a languages department at a university in Scotland, and has previously taught in colleges and universities in Germany, Japan, Malaysia and the UK. He has been involved in educational development projects on teaching modern European languages, which have led him to travel widely in Eastern Europe and central Asia. In a previous life he also worked in a museum and wrote a history of the people who had built and inhabited medieval almshouses. 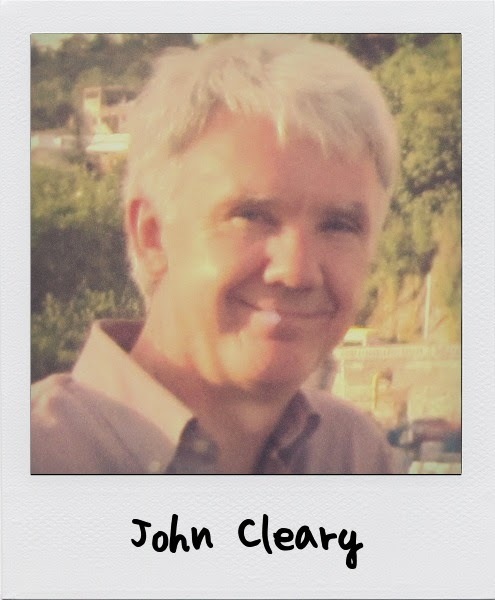 When working in the museum John developed an interest in the histories of communities and families. Some idle questions about some family mysteries led to him poking into his own family past, and he has since traced his own family back in each of Ireland's four provinces, as far as he can. Which isn't far enough – DNA research might be a way to see past that early horizon created by those Irish records that went up in smoke. Like many people John began by testing himself and finding unexpected results, which fuelled the interest to discover more. He is a member of ISOGG in Scotland, assists as one of the volunteer administrators of the Scottish DNA Project, and helped establish a DNA Interest Group for Scotland which began meeting in Glasgow in 2014. He has used it to trace the shared origins of people with a shared but unusual surname, and to look deeper into how those surname bearers came to be in Ireland. More recently he has been using DNA to open up the history of the Scots captured in the Civil War and transported to forced labour in the American colonies, and whose descendants are trying to reconstruct their stories. The recent introduction of the Big Y-500 has made a significant impact on Y-DNA family history projects. The future of recreational DNA testing will hold some major surprises in particular for the evolution of the Tree of Mankind. This talk explores what we can expect in the next few years. GGI2018 Belfast: The Kemp Story: an Ulster family network revealed through genealogy and DNA - ‘The Kemp Story’ is a case study in how documentary research and DNA testing can be made to work together to solve problems, discover new questions to answer and uncover the family histories hidden beyond the ‘horizon’ of surviving Irish records. The surname Kemp is unusual in Ireland, with one pocket of the name found in County Cavan, its descendants spread beyond Ireland to North America, Australasia and elsewhere. Over the past decade or so family historians and genetic genealogists have investigated the origins of this family, pushing the remaining written evidence to its limits, and using genetic genealogy to investigate whether all the Kemps in Cavan descended from a common founder. Recent discoveries have thrown the net over families elsewhere in Ulster and hinted at the first, tentative possibilities of deeper origins beyond Ulster. This talk will look at the genealogical sources available for the early 1800s and earlier in this part of Ulster, as well as which forms of DNA test can be used to advance this kind of investigation. GGI2017: It is 4 years since FTDNA introduced their new Y chromosome sequencing test, the Big Y. This talk will review how this popular test has transformed surname projects in this time, and how the ‘SNP tsunami’ has up-ended and transformed the shape and size of the Y chromosome haplotree. Strategies and useful utilities for making sense of the results of Big Y testing will be presented and discussed through a variety of cases where breakthroughs have been made, or new questions answered, about families, names and their origins. GGI2016: Recent years have seen a huge explosion in the number of DNA markers available for testing on the Y-chromosome. And as more and more people have taken up these advanced tests, our knowledge of the Human Evolutionary Tree has expanded. Not only that, but the new SNP results (in combination with pre-existing STR data) are creating branching patterns within surname projects and helping our understanding of the evolution of surnames within Ireland. John summarises these recent advances and shows us where they might lead. Relevant surnames in this presentation include Kemp (two Irish lineages of this name); also: Kempton, Cummings, Jacobs, Anderson, Adams, Connell, Small – all good Irish names. GGI2015: This talk is going to focus on DNA group projects - what they are; the different types; and how the family historian can get involved and use them. It will be of interest to anyone researching less common Irish surnames, especially those with possible origins in other parts of the Isles - or further away, and so may remain rare in Ireland. It's aimed mainly at those people who have taken a DNA test already and want to do more to compare their test with other people’s to extract more value from their results. People who have not tested but are thinking about doing it may also find this a useful source of ideas. We'll look at group projects - especially surname projects and how they can increase the value of taking a DNA test. Part of the talk will look at how a surname project discovered more information about a particular surname that historical documents could not reveal. We'll look briefly at haplogroup projects – these capture “deep ancestry” (that is before surnames were used), but offer a lot to the family historian too. Then we'll introduce another, newer type, heritage projects, looking at a new project exploring the fates of Scottish prisoners transported as captives to America after defeat by Cromwell in 1650. This may interest Irish genealogists, too, given the huge numbers of Irish who also endured this fate under Cromwell and after. These show how DNA testing can be taken beyond conventional genealogy, opening up new ways to recount the history of peoples, communities and their migrations across the planet. You can watch a video of the presentation by simply clicking on the image below. To watch it in Full Screen, click on the "square" icon in the bottom right of the screen.